Catholic Church Insurances, have been an ongoing client of Linear’s since 2009. 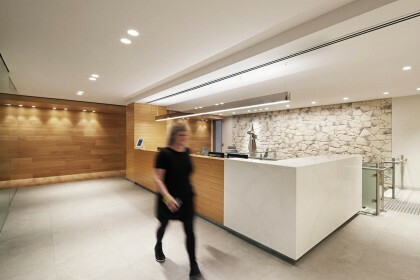 Linear were again engaged in 2016 to create a new Workplace Vision for the company that aligned the quality and look of their offices nationally and adopted a more collaborative working model. The overarching concept was rolled out across Perth. 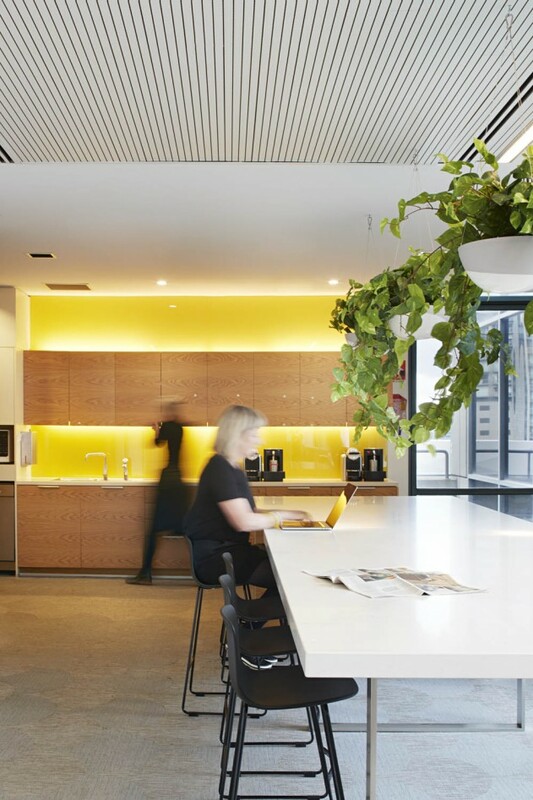 Adelaide, Brisbane, Sydney and Melbourne offices. The new design solution enables greater mobility and face to face interaction within and between teams. 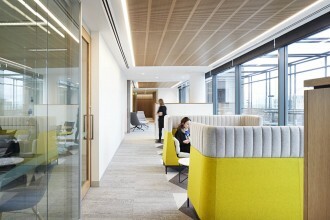 The footprint of individual work points has been significantly reduced to align with current directions in workplace design and to consolidate the m2 per person in each location. The Melbourne office were able to reduce their overall space by 1000m2 using this new working model- creating great savings for the business. CCI invested in sit to stand desks for all people understanding the importance of a healthy working environment and enabling choice in the workspace. The overarching concept is inspired by traditional references to church but presented in a modern design interpretation. References to cloisters, stained glass, mosiac patterned floors portals and archways inspire and transform the feel of the spaces and the colour palette selection. The key thoroughfare to the client area becomes a modern cloister with strong timber banding leading to the meeting spaces. Symbolic entry doors create a strong opening to meeting rooms and mirrored light fittings reference the fixtures and fittings at the altar. Brightly coloured patterned Tretford rugs bring colour to collaborative spaces and take reference from stained glass. The overall look and feel is warm and neutral with punches of strong colour in key areas.